Welcome to 2019 Festival at The Grand (April 27-May 4), a bold exploration of law, redemption, and unlikely friendships in a divided world. On the docket: a delightful double bill of SCALIA/GINSBURG (composer Derrick Wang's one-act opera about the friendship between Justices Ruth Bader Ginsburg and Antonin Scalia) and TRIAL BY JURY (Gilbert & Sullivan's beloved courtroom comedy), plus Jake Heggie’s DEAD MAN WALKING. Just announced: Leading Ladies Offstage, a special concert at the OD Studios featuring Dead Man Walking’s Aleks Romano and Scalia/Ginsburg’s Jennifer Zetlan. 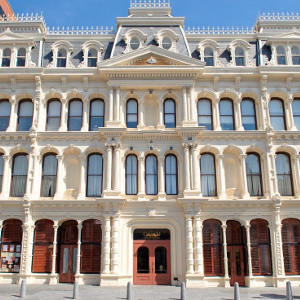 OperaDelaware is a revelation… come revel with us! Welcome to opera born in your century, speaking your language — in more ways than one — and telling your stories in a way that only opera can. The 2019 Festival (April 27-May 4), a bold exploration of law, redemption, and unlikely friendships in a divided world, spotlights works that are accessible to newcomers but will also thrill lifelong opera fans. On the docket: a delightful double bill of SCALIA/GINSBURG (composer Derrick Wang's one-act opera about the friendship between Justices Ruth Bader Ginsburg and Antonin Scalia) paired with TRIAL BY JURY (Gilbert & Sullivan's beloved courtroom comedy). We will also present one of the most successful contemporary operas of our time, Jake Heggie’s DEAD MAN WALKING. Based on the book by Sister Helen Prejean with a libretto by Terrence McNally, this modern masterpiece about a death row inmate and the nun who becomes his reluctant spiritual adviser is unlike anything we’ve presented in our history. NEW TO FESTIVAL LINEUP: LEADING LADIES OFFSTAGE, a special concert at the OperaDelaware Studios featuring Dead Man Walking’s Aleks Romano and Scalia/Ginsburg’s Jennifer Zetlan. We trust in opera to have the magical gift of being timely—and becoming timeless. We trust in opera buffs to enjoy the “operatic precedent” of Handel, Mozart, Verdi, and Puccini in Scalia/Ginsburg. We trust first-timers to be transfixed by the raw power of Dead Man Walking. We trust in opera's gift for telling stories like no other art form. Whether you are a Festival veteran or a first-time patron, trust opera to show you something new about itself — and you. A powerful tale of grief, mercy, and redemption, Dead Man Walking is hailed as one of the most important operas of our time. Based on the book by Sister Helen Prejean which also inspired the Oscar-winning film, it explores the complex relationship between Louisiana death row inmate Joseph De Rocher and Prejean, the nun who becomes his reluctant spiritual adviser. With a brilliant score by Jake Heggie and a gripping libretto by Terrence McNally, this modern masterpiece has stunned audiences with realism and haunting eloquence since its 2000 premiere. Starring Tim Mix as Joseph De Rocher, Aleks Romano as Sister Helen Prejean, Adrienne Danrich as Sister Rose, and Jenni Bank as Mrs. De Rocher. Directed by Octavio Cardenas. Conducted by Jerome Shannon. This opera contains explicit content and is not recommended for patrons under 15. Due to a graphic depiction of a sexual assault, late seating will be available after the opening scene. This opera was commissioned by the San Francisco Opera. By arrangement with Bent Pen Music. Sole Agent: Bill Holab. Performed in English with English supertitles. DOUBLE BILL | Scalia/Ginsburg | Supreme Court Justices Ruth Bader Ginsburg and Antonin Scalia shared two things — a deep philosophical opposition and a deep love of opera. But what would happen if the two unlikely friends and ideological opposites had to appear before a Higher Power? Composer Derrick Wang’s charming comic opera — featuring actual lines from the justices’ opinions and speeches and musical nods to Handel, Mozart, and Puccini — is “a perfect...jewel.” (Opera Today) Starring Jennifer Zetlan as Justice Ruth Bader Ginsburg, Brian Cheney as Justice Antonin Scalia, and Ben Wager as the Commentator. Trial by Jury | Disorder in the court! After being left at the altar, the beautiful Angelina takes her former fiancé to court for breach of contract, charming everyone along the way. The verdict is unanimous: Gilbert & Sullivan’s courtroom romp is a delight. Starring Ben Lowe as The Learned Judge, Anaïs Naharro-Murphy as Angelina (The Plantiff), and Colin Doyle as Edwin (The Defendant). Also featuring Chelsea Duval-Major (Bridesmaid), Dana MacIntosh (Bridesmaid), Orin Strunk (Counsel for the Plaintiff), and Cody Müller (Usher). Directed by Fenlon Lamb (Scalia/Ginsburg) & Cynthia du Pont Tobias (Trial by Jury). Conducted by Sara Jobin. Performed in English with English supertitles. SCALIA/GINSBURG (l to r): Jennifer Zetlan (soprano) , Brian Cheney (tenor), Ben Wager (bass-baritone). TRIAL BY JURY (L TO R): Ben Lowe (Baritone), Anaïs Naharro-Murphy (Soprano), Colin Doyle (Tenor), Chelsea Duval-Major (Mezzo-Soprano), Dana MacIntosh (Soprano), Orin Strunk (Tenor), Cody Müller (Bass). New to Festival lineup! Join our mainstage leading ladies for an evening in song at the OD Studios. Dead Man Walking's Aleks Romano will perform Jake Heggie's Camille Claudel: Into the Fire, a song cycle for mezzo-soprano and string quartet, with texts by Gene Scheer; based on the life and work of the French sculptor, Claudel. Scalia/Ginsburg's Jennifer Zetlan will sing Nico Muhly's Far Away Songs, which were written for her by the composer in 2012. Featuring a string quartet and Aurelien Eulert, OD's Principal Pianist & Chorus Master. Enhance your Festival experience! Please join us for informative talks prior to each Festival performance, one hour before curtain. Seating is limited, so please arrive early. (Lectures take place in the Parquet Circle of Copeland Hall in The Grand) Admission to lectures is free. 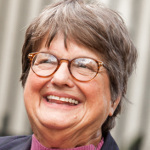 We are proud to partner with First & Central Presbyterian Church and Market Street Music for a special book discussion and Q&A with Sister Helen Prejean at First & Central on April 27. Sister Helen will share her story about counseling death-row inmate Elmo Patrick Sonnier and others, and how her advocacy work continues today. Admission is free. Space is limited so reservations are required. RESERVATIONS: Please click here to reserve. These programs are partially funded by a grant from the Delaware Humanities, a state program of the National Endowment for the Humanities.